We generalize a number of finite dimensional results on Bloch functions to infinite dimensional bounded symmetric domains. In particular, we characterize the Bloch space as well as the little Bloch space of a Hilbert ball, and give one sufficient and several necessary conditions for a composition operator on a Bloch space to be an isometry. 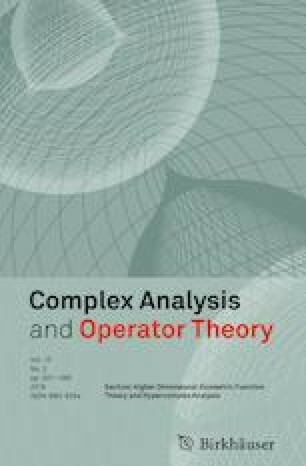 We also answer some open questions of Allen and Colonna concerning Bloch functions and composition operators. Hidetaka Hamada was partially supported by JSPS KAKENHI Grant Number JP16K05217.